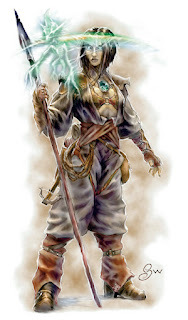 Since I use my Duchy of St. Cuthbert setting for my play-testing of DnD Next, I need to "convert" one of my player's psychic warriors from 13th Age to DnD Next. I have chosen to use the Fighter and create a Fighting Style for his "powers". I have a revised version here. Your fighting style relies on your natural psychokinetic gifts. 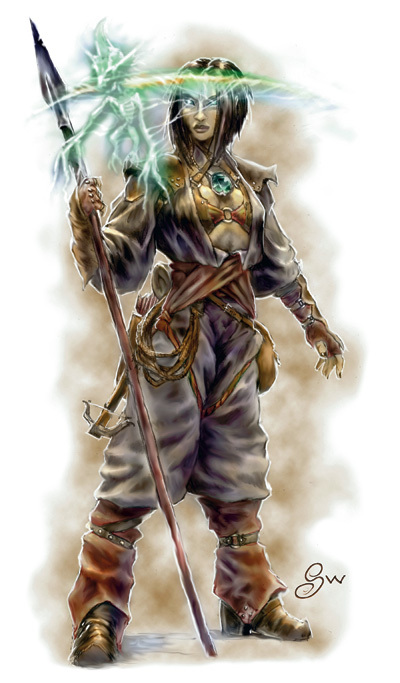 Suggested Equipment: Displacer beast hide, spear, throwing axe, adventurer's kit and 24 gp. Your psychokinetic gift pushes your weapon's reach when fighting in melee. Benefit: When you make a melee attack against a creature, spend an expertise die to increase the Reach of your melee attacks by 10 feet until the end of your turn. You have focused on using your psychokinesis to rapidly return ranged weapons to your hand. Benefit: When you make a ranged attack against a creature, spend an expertise die to return the weapon to you at the end of your turn. Your mastery of psychokinesis allows you to attempt to manipulate your ranged weapons to attack additional enemy. Benefit: Once per turn, you may make a second ranged attack against another creature within 20 feet of your first target. Roll any expertise dice you spend this way, and the target takes damage equal to the result. The damage is of the same type as the first attack. Cool! This really highlights how versatile the new Combat Superiority class feature is! I completely agree and thanks!